What makes a school successful? The principal… the teachers… the students… the parents? Can one individual (or group of individuals) be the determining factor of success or not? Can leadership come from the middle or must it originate and live at the top? None of these questions are easily answered, but in my experience as an educator, it’s principal leadership that makes all the difference. It’s this difference that we are so desperately needing in our schools…We need leaders who recognize and pay homage to ‘what was’ in an effort to maximize and capitalize on ‘what could be.’ Schools are in need of a leader with a vision; a vision that is bigger than any one individual. We need leaders who see the big picture. We need leaders who won’t shy away from asking tough questions and won’t yield on having high expectations for all with a belief that all can achieve in their own respective way. We need leaders who are willing to be visible. We need leaders who are willing to stand up and speak when others choose to remain quietly seated. We need leaders who are able to adapt and shift based on what’s needed of them. There’s no such thing as black and white and straight-forward when it comes to education, so being flexible is absolutely critical. We need leaders who can commit to making a decision even when they know the decision won’t be popular. People will eventually come to terms with something they don’t agree with; people can’t come to terms with uncertainty and confusion. We need leaders who can effectively and clearly communicate. Last week at Year 13 retreat this was emphasized and gave me something to reflect on this week. We all feel like giving up sometimes. My own learning-acknowledge these feelings, embrace them, and then do the opposite. This is easier said than done, but each of us has reached major and minor milestones by simply not giving up. Think about what has made a difference in your life. Lesson-rely on past actions that led to successes in your life and celebrate what you’ve accomplished. Think about the process and simply apply the lessons learned. Focus on your achievements, not your faults. My own learning – we are imperfect humans with a number of faults. Okay, we get it, now move on. Focusing on our blessings of family, friends, a reasonable portion of good health, teammates, and opportunities encourages us to persevere. I encourage you to read this. It is a must read. Relational trust is something we all need to work on in any organisation the least of which is in schools. Here are some things I think about a great deal when dealing with staff. Do What You Say You Will Do – This the ultimate way to gain their trust. It means following through with what say you will do. Do The Right Thing – Regardless of whether or not anyone is watching you, integrity cannot be compromised. It takes many years to establish your credibility, but it only takes a few minutes to ruin it. Care For Your People – Before we ask our people to do something for us, we must appeal to them and touch their heart. 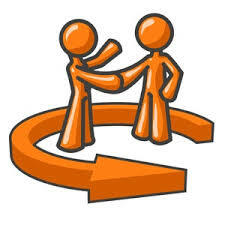 Serve Your People – When we serve our people, we ensure that their interest is taken into consideration. By doing so, we don’t focus on who gets the credit. Our focus shifts to getting the job done. Are there some things you would add? What would you want a doctor to do if this is what was showing on your monitor at the hospital? Would you want the doctor to keep continuing what they were doing despite the results? Would you want the doctors to change their current method because of the data on the monitor? Would you want the doctors to hold themselves personally accountable for changing the results on the monitor? These questions may sound absurd considering that we are talking about a life or death situation. You would never want the doctor to behave according to the first set of questions. The most effective principals would not exhibit these behaviours either. Replace doctor(s) with principal(s) in each of the questions above. The data would be around the goals of the organization that the principal is in charge of. 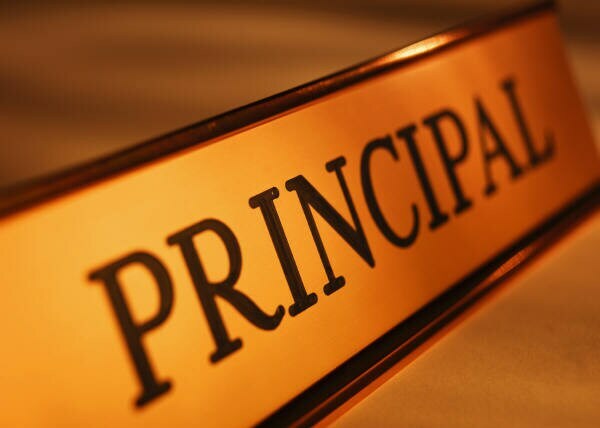 How many principals have you seen behaving according to the first set of questions? Many organizations are exhibiting flat lines and yet the principal continues to act in the same manner that brought on the failure. Principals must lead differently to spike a flat line in data. How can you as a principal begin to bring your school back to life? Perhaps a question for a NAPP korero? Without question, one of the most important things I do is reflect be it teaching, living or in triathlon training. It took me years to figure this out, but reflection during and after lessons, sessions, presentations, etc. is crucial if I want to continue to grow as a professional. It is something. Everything I do is under constant scrutiny because I want to be better. Reflection can challenge me to change which can be a challenge. Nobody really likes change. The next step after reflection is making changes where they are needed. Just thinking about what you have done does not mean anything if you do not take action. If something is broke, fix it. If something is not working, do something completely new. Education is a constantly changing creature and our lessons need to evolve with the rest of education to ensure that we are doing what is best for our students. Reflection and change are crucial parts in the process of providing the best education for the students in front of us. We are all busy. I’m tired of hearing it. We have friends, families, lives, etc. That doesn’t mean we shirk our responsibility to become better at our jobs. Reflection and change is how we can be better. This year I want to take some time this year and reflect on my profession and see where I can make some meaningful changes for me and for the students I teach. Earlier on in the year I had the opportunity to be Acting Principal. I recognised the opportunity for a reflection but I wanted to give it time after the fact to see reflect further on what I learnt. What have I learnt then? • Surround yourself with competent leaders. • Malcom Gladwell was right. You need strengths. Mine was the ability to deal with special character issues and in my experience they come up daily. • Do not do everything. • My immediate response may not be my best. • Relax and find time to switch off. • Acknowledge I will make a few mistakes. • There is always tomorrow. • If you are given an opportunity to act as Principal take it. Realize though sometimes the “ride” can be rough. • People do not want you to fail. .
• make connections and build networks within and beyond their schools; develop others as leaders. Develop leaders from your own tree. One of the most important yet challenging and I think most satisfying aspect of being on the SLT is making connections which leads others to make connections or sees possibilities and opportunities that were once never a possibility but are now are realities. I thoroughly appreciated and relished this experience and I am sure I will reflect again. During the last few weeks I have been Acting Principal. As this time comes to an end I thought I should reflect on some key thing I have learned and been aware of. Before you write them off as not applicable to you, consider that these are common in any type of leadership position and in a great deal of literature. Healthy relationships: A common mistake that leaders make is to hole up in their office and neglect the relationships that will help them to be successful. You have plenty of other things to do, but this is the most important. Make time in your schedule to make the connections that will be mutually beneficial. Listening: You must go beyond hearing to developing the kind of listening that goes deeper. This kind of listening includes watching body language and observing emotions. If you don’t listen in this way you’ll miss plenty of opportunities to learn and connect to others. Silence: Leaders who exhibit strategic silence know when to stay still. They understand the impact of words that can hurt, anger, or create fear. They know that when they say too much, others stop speaking and creativity and inclusion are a lost cause. Appropriate pace: It’s a difficult thing to match the pace of others. I find some leaders are so driven that they outpace those who follow, leaving them in the dust, confused and dazed. Other leaders may be too slow to make decisions and take action, and we all know what happens if this becomes a repeated pattern. You must be authentic to who you are. Patience: Many leaders are intolerant of others who might do things differently or at a pace the leader finds unacceptable. Action oriented leaders may have a tendency to jump to conclusions before things are thought through. The lack of patience can manifest itself as anger or decisions that aren’t fully thought through. Calm: Remaining calm is a great asset that can be lacking in many leaders in our high pressure, high stress organizations. Leaders who are not calm may show anxiety and an inability to remain still. They might be excitable at the moments when an organization needs calm, spreading anxiety. Inclusive: There are very few places where a lone wolf leader can be effective. Decisions are complex, and it takes a village of smart people to help make them. Leaders who aren’t inclusive may find that their organizations lack creativity. The people who are most talented may be taking their brilliance elsewhere. Respect: A deep respect for all people in the organization is the hallmark of a great and enduring leader. Everyone is treated as someone who matters. Professional: A leader who is professional is one who dresses appropriately, walks the talk, and is loyal to their organization. Despite how they might feel about certain guidelines, rules, or bureaucracies, they do what needs to be done. Reflective: Leaders who spend their days reacting are heading for trouble. Most leaders get more responsibility by taking decisive action, but unless they take some time to reflect on past and future successes and failures they’ll eventually run into trouble. Setting aside thinking time is imperative for success. I suppose this blog reflects this.